Learn home care conversation starter tips from Innovative Senior Solutions. A professional senior care company takes time to painstakingly check references, run background screenings, look into driving history, and oversee care for each of their clients. When hiring a caregiver through a classified ad, none of these steps are taken, unless you’re able to run the background checks on your own, leaving your senior loved one at risk for financial fraud, emotional or physical abuse, and more. Professional senior care company caregivers receive initial orientation and ongoing training to ensure they’re providing the highest possible level of care and are always on top of the latest best practices. They’re also monitored on a regular basis, so that if any changes or extra training are needed, they can be implemented. With an independent caregiver, it can be difficult to verify what, if any, care training he or she has. Although it may not be widely known, hiring a caregiver yourself means that you are considered that caregiver’s employer, and as such, are responsible for income taxes, worker’s compensation, Social Security payments, etc. You are also liable for any injuries or damage that may occur to the caregiver or his/her property. A professional senior care company that hires its caregivers, like Innovative Senior Solutions, handles all applicable taxes, insurance, and liability so that none of that burden falls on your family. What happens when an independently-hired caregiver becomes sick, takes a vacation, or has family obligations that interrupt his/her ability to provide care? With a professional senior care company, backup care is provided, so you’re never left scrambling to find replacement care. Hiring a caregiver independently means that any oversight and/or disciplinary actions are your responsibility. 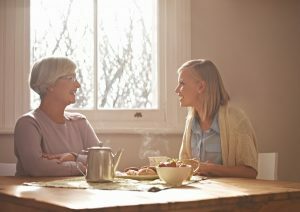 If the caregiver is late, if there’s a dispute about hours worked, if the senior complains of an issue with the caregiver, it’s up to you to try to correct the situation. With a professional senior care company, caregivers are well supervised and all disciplinary action is handled by management so that you can focus on helping your loved ones receive the care and attention they need. 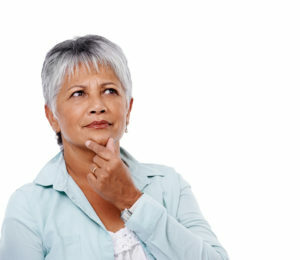 At Innovative Senior Solutions of Georgia, we know you have a number of options when it comes to choosing senior caregivers, and it can quickly become overwhelming to try to discern the best possible choice for your loved one. We invite you to contact us to discover how we can alleviate the stress by taking care of all the details involved in selecting the perfect caregiver, allowing you to focus on spending quality time with your loved one. If you’re searching for Albany home care, call us any time at 866-928-3670 to learn more. It’s a fact: overwhelmingly, the majority of older adults long to age at home instead of facing a move to an assisted living facility or nursing home. Home is where they’ve created a lifetime of memories, where they can relax and be themselves, where everything is familiar and comforting. However, aging brings with it a number of issues that can make living at home unsafe: physical concerns such as chronic diseases and frailty, or cognitive functioning difficulties, to name just a few. Typically, seniors enjoy a much greater level of overall wellbeing when given the opportunity to age at home. Senior home care enhances comfort, independence and dignity. Research shows that patients are able to heal quicker at home than in a hospital or nursing home, and are much less likely to require a re-hospitalization. Home care benefits both the senior and his or her family, allowing for more involvement in the older adult’s care. Care can be personalized to each person’s unique needs when provided in a one-on-one setting in the home. Home care allows the senior to receive the highest quality care, since there’s no need to wait for care as in a nursing home or other long-term care institution. Meals can be prepared according to the senior’s unique likes, dislikes, and dietary restrictions by a professional in-home caregiver. A caregiver can assist with ensuring the senior engages in an ongoing exercise program, providing encouragement by participating with the senior. There’s simply no comparison to the comfort and security of being at home. Seniors are able to enjoy activities and events outside of the home with the assistance of an in-home caregiver’s transportation and accompaniment services. To learn more about how professional in-home care can help your senior loved ones live a higher quality of life at home, contact Innovative Senior Solutions’ Cordele GA home care team at 866-928-3670. We’ll be happy to answer any questions you have and to schedule a free in-home consultation to share more about our Albany home care services and how they can enhance safety, alleviate isolation, and restore joy.